Former Wildrose Party leader Danielle Smith has apologized for "angering" many of her former supporters in crossing the floor to the governing Progressive Conservatives, but says she intends to seek the PC nomination in the next election. 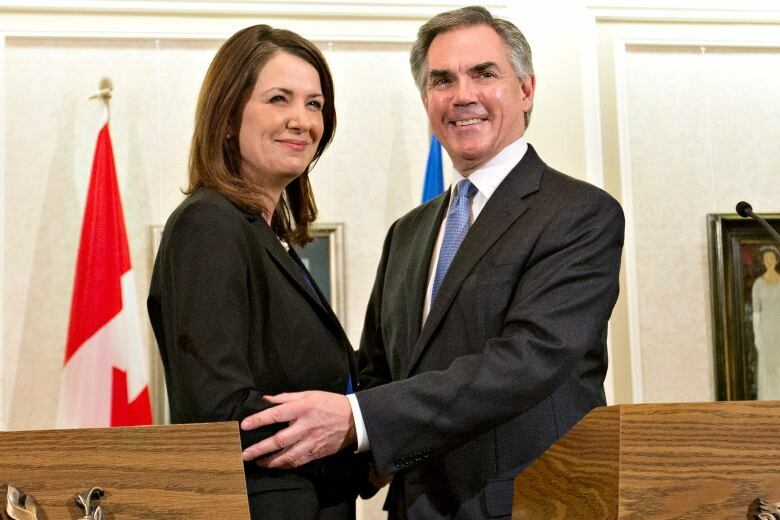 Former Wildrose Party leader Danielle Smith has apologized for "angering" many of her former supporters by crossing the floor to join the governing Progressive Conservatives, a move she describes as "a process to unify conservatives under the leadership of Premier Jim Prentice." In a statement on her Facebook page, Smith acknowledged her defection — along with eight fellow Wildrose MLAs — had not gone as expected. "First, I am sorry to Wildrose members and supporters that I was unable to make the Wildrose a viable, governing alternative," she said in the statement. Smith says it became clear to her at the party's Annual General Meeting in November that the members were more interested in protest than in governing. Smith also expressed regret for not consulting more widely within the party before making her decision to leave. "In hindsight, it is clear that there needed to be more engagement and discussion to prepare Albertans for this change," she wrote. Nonetheless, Smith says she does not regret her decision to join the Prentice government. "We fought hard against two administrations that were leading Alberta in the wrong direction, and we won," she wrote. "We now have a Premier who is committed to the same common-sense ideas that we have been fighting so hard for." Smith says she intends to contest the next election as a Progressive Conservative candidate and will seek the nomination in her riding of Highwood.